TryTheCBD’s high quality hemp oil capsules. Gluten-free & vegan made using plant-based ingredients. Hemp oil is CO2 extracted. No magnesium stearate or silicon dioxide. Colorado Grown and Extracted. Each capsule contains 25mg CBD. 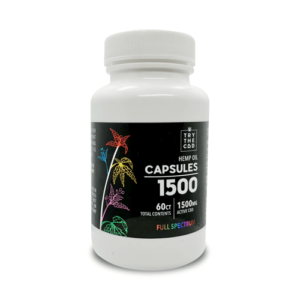 Available from a 5ct 125mg up to 60ct 1500mg in either Non or Full Spectrum.